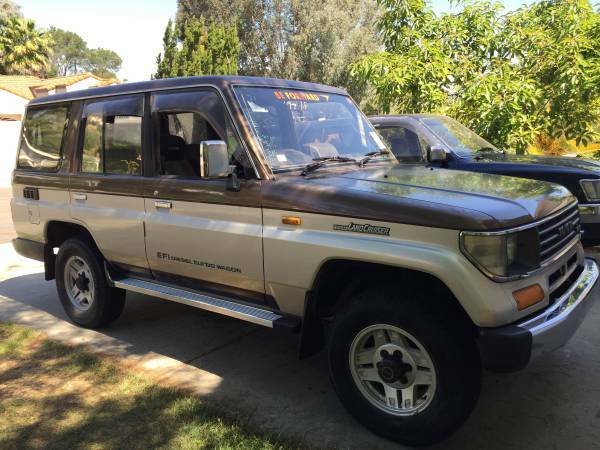 Showing Articles Posted In: "1992"
Toyota Land Cruiser for sale, this interesting classic Land Cruiser only sold in Japan, is a first generation of the Land Cruise Prado was built in 1992 legally imported from Japan for few years ago. Described as a good diesel SUV example with RHD format and only 211K kilometers or about 132K miles on it. This an classic luxury SUV were only produced and sold in Japan, Toyota Land Cruiser Prado SX still in original condition in and out powered by a 2LT-E EFI Engine with turbo mated automatic and push button 4WD. This could be perfect as is a unique and reliability of its diesel.